John Home, de jure 2nd Earl of Dunbar (a 1628), brother of 1st Earl, according to the Lord Advocate in 1634, he “conceiving his fortune too mean, forebore to assume the dignity”. He died without male issue. George Home, de jure 3rd Earl of Dunbar (a 1637), son of Alexander Home of Manderston and nephew of 1st Earl, certified in his claim in 1634 by the same Lord Advocate. Alexander Home, de jure 4th Earl of Dunbar (d 1675), son of 3rd Earl, said to have been confirmed in title by Charles II in 1651 but which does not appear in The Great Seal of Scotland. Died without male issue. Alexander Hume, of Manderstone, de jure 5th Earl of Dunbar (b. 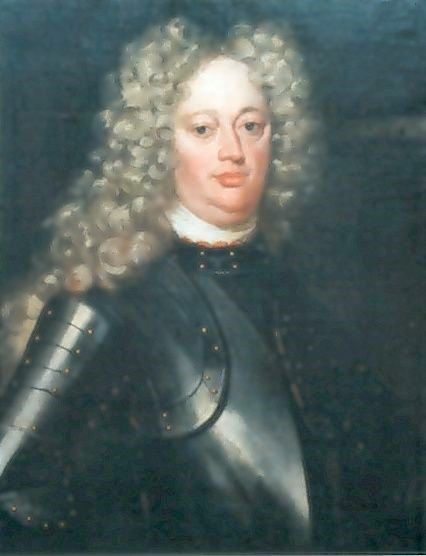 1651, d. 4 Jan. 1720 Aurich, Germany (1) (nephew of 4th Earl. Capt. of a troop of horse in the service of the States of Holland (2). To him 14 Oct. 1689, King William III. confirmed the Earldom of Dunbar exemplifying the previous confirmation thereof by Charles II (3). It is not known if Alexander Hume styled himself “Earl of Dunbar” in Germany (Ostfriesische Landschaft, Biographisches Lexikon fuer Ostfriesland, 177938/622/23814). His son – Leonard Hume, de jure 6th Earl of Dunbar – inherited the estate in Stikelkamp from his father (4). Leonard’s son – Heeres Andries Hume – was de jure the 7th Earl of Dunbar (b. 1738 in Norden). He married Antje van Bergen (5). After this marriage the family name converted into Van Bergen (6). Alexander married6 lsabella Cornelia FEWEN daughter of Dr Leonard FEWEN and Susanne MAMUCHET VAN HOUDRINGEN on 22 Mar 1673 in Leeuwarden. lsabella was born7 in 1662. She died8 in 1723. “Zur Charakterisierung der Verhaeltnisse dieser Familie von Capelle moege noch ein bezeichnender Vorfall Platz finden: Hume of Manderstone starb am 4. Januar 1720 zu Aurich arm und mit seiner Frau Isabella Cornelia, geb. Fewen, zerfallen. An Humes Todestage liesz dessen an J .A. v .Capelle verheiratete Tochter Susanne, die in den traurigsten Verhaeltnissen lebte und ebenfalls mit ihrer Mutter auf gespanntem Fusze standt beim Hofgericht die Versiegelung der in der Wohnung ihres Vaters befindlichen Papiere beantragen. Da die Witwe unter dem Vorgeben, dasz sie kein bares Geld besitze, sich weigerte, die Beerdigungskosten zu tragen, so verfuegte der Fuerst am 26. Januar (drei Wochen nach Humes Tode), dasz noch selbigen Abends die Beerdigung unter Begleitung des Auricher Militars mit 24 Fackeltraegern stattzufinden habe. Dies geschah auch. Die Kosten im Betrage von 31 Thalern und 11 Schillingen bezahlte die Witwe , die zu Stickelkamp wohnte ( . . . . ) , nachdem ihr die Rechnung mit Androhung der Exekution zugeschickt worden war” (Quellen und Forschungen zur Ostfriesischen Familien- und Wappenkunde, Herausgegeben von der Ostfriesischen Landschaft, Arbeidsgruppe Familienkunde und Heraldik, Aurich, 13. Jahrgang (1964) Heft 3, Seite 26. Lit. .. Lantzius-Beringa, Nota zur Familie Fewen, in Quellen und Forschungen zur Ostfriesische Familien- und Wappenkunde 17 (1968), p. 92; Paechter und Ertraege des Gutes Stikelkamp in Quellen und Forschungen zur Ostfriesische Familien- und Wappenkunde 10 (1961), p. 13. Alexander and lsabella had the following children: + 2M i. Leonard HUME OF MANDERSTONE was born on 29 May 1684. He died on 2 Feb 1741. 3M ii. 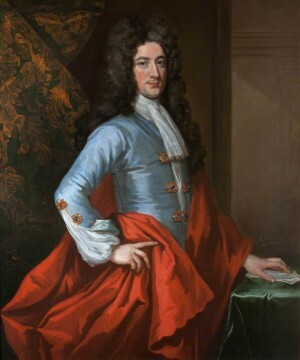 Habbo Marcus HUME OF MANDERSTONE 9 was born10 on 9 Sep 1676. He died about 1676. + 4F iii. Susanna Hesther HUME OF MANDERSTONE was born on 23 Oct 1677. She died on 7 Mar 1726. 5F iv. Maria Isabella HUME OF MANDERSTONE 11 was born12 on 17 Dec 1679. She died about 1679. 6F v. Agatha Isabella HUME OF MANDERSTONE 13 was born14 on 28 Mar 1681. 7F vi. Georgetta Leonarda HUME OF MANDERSTONE 15 was born16 on 4 Feb 1683. She died about 1683. 8M vii. George Christian HUME OF MANDERSTONE 17 was born18 in Apr 1686. He died19 in 1706. He died issueless. 9M viii. Alexander HUME OF MANDERSTONE 20 was born21 on 18 Aug 1674. He died22 in 1703. He died issueless. 10F ix. Albertina Mechteld HUME 23 was born24 on 5 Jan 1688. She died on 28 Jun 1733 in Hesel. She was buried on 8 Aug 1733 in Twixlum. Albertina married25 Arend Jan VON LOUWERMAN on 16 Jun 1730 in Wirdum. L. Jansen, H.R. Manger, Die Familien der Kirchengemeinde Hesel (1643-1900) (Aurich 1974), p. 400. Karl Herquet, Miscellen der Geschichte Ostfrieslands, Norden 1883, p. 97-101; 86; 235. Lt. Colonel Robert Gayre of Gayre and Nigg, ERD, MA, Decendents of Alexander Hume of Manderstone, typoscript Minard Castle, Minard, Argyll Scotland, 1992. G.E.C., Complete Peerage of England, Scotland, Ireland, Great Britain and The United Kingdom, extant, extinct or dormant., Vol. III (D to F), London (1890).“XII. GEORGE HOWME, Knt., High Treasurer of Scotland was on 7 July 1604, Cto II BARON HUME (Howme), OF BERWICK ” [S.], with rem. to his heirs for ever. (a) Shortly afterwards he was as ” Lord Home of Berwick in England ” [sio but query] by patent dat. at Windsor,3 July 1605, cr. EARL OF DUNBAR [S.], with rem. to his heirs male. (b) He was 4th and yet. s. of Alexander HOME, or HUME, of Manderston, co. Berwick, by Janet, da. of George HOME, or HUME, of Spot; was a Gent. of the Bedchamber to King James VI [S.], in 1585, by whom he was Knighted, in 1590 ; Master of the Wardrobe, 1590, and High Treasurer [S.], 5 Sep. 1601. Attending the King into England, he was made P.C., in 1603, and in the next year cr. a Peer as above stated. Chancellor of the Exchequer [S.] ; High Commissioner to the general essembly [S.], 1606.10, being employed by the King for the restoration of episcopacy in Scotland; el. KG. 23 April and inst. 18 May 1608. He m.. Catharine, da. of Sir Alexander GORDON, of Gight, by Mary, da. of Cardinal David BETOUN, Archbishop of St. Andrew’s [8.] He d. s.p.m. at Whitehall somewhat suddenly 29 Jany. 1611/2, since which time hia honours have remained dormant.He was bur. at Dunbar. M.I. 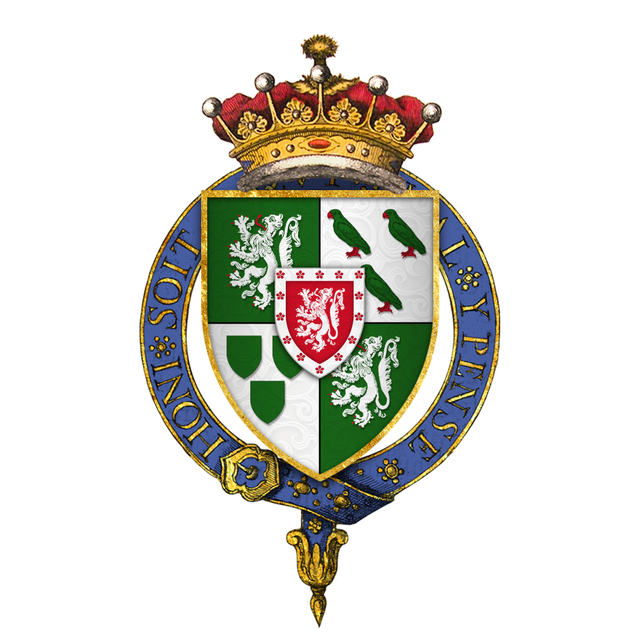 The right to the Earldom of Dunbar, tho´ unquastionably still remaining has never been fully recoginised since the death of the grantee of 1605. It appears to be as under. XIII. JOHN (HOME), EARL OF DUNBAR [8.1, next elder br. and (more Scotico) heir, being 3d s. of his father abovenamed. He d. s.p. 1614. XIV. 1614. DAVID HOME living 1571 (but who apparently d. s.p.) was the next eldest br. while ALEXANDER HOME, of Manderston, was the elder br. of the 1st Earl, but whether either of these were alive in 1614 is unknown. Sir GEORGE HOME, of Manderston, only s. and h. of the latter was living in 1631, and one of these three must, apparently, from 1614 have been de jure EARL OF DUNBAR. 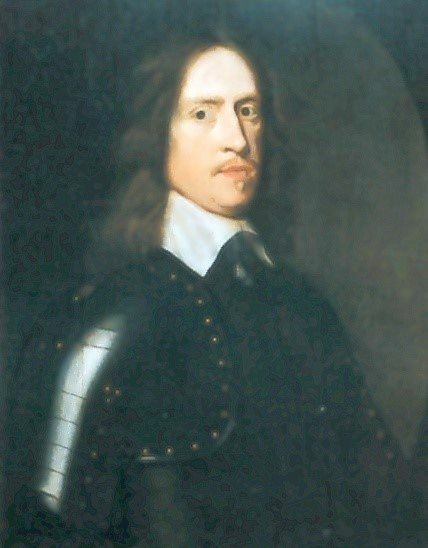 On 6 Aug. 1634, the Lord Advocate [S.] certified to the King that that dignity ” lawfully descended ´to the above’ named Sir George Home, the collateral male heir, and failing him that it would devolve upon Sir Alexander Home, then at the Hague. The said George d. before 1651. XV1651 SIR .ALEXANDER HOME heir male (probably s. and h. of the(b) above); sometime in the service of the Princess of Orange at Hague. To him on 6 May 1651, Charles II. confirmed the Earldom of Dunbar. He d. s.p.m. before 1689. XVI. 1689 ALEXANDER HOME, of Manderston afsd., Capt. of a troop of horse in the service of the 8tates of Holland, nephew and h. male of the above. To him 14 Oct. 1689, King William III. confirmed the Earldom of Dunbar exemplifying the previous confirmation thereof by Charles II. The family is said to have resided in Holland and to have there become ea;tinct in the male line during the 17th century.“. Arbeitsgruppe Familienkunde und Heraldik, Ostfriesischen Landschaft .”Quellen und Forschungen zur Ostfriesischen Familien- und Wappenkunde, 13. Jahrgang (1964) Heft 3, Seite 26.”. Koninklijk Nederlandsch Genootschap voor Geslacht- en Wapenkunde, De Nederlandsche Leeuw , Jg. 37 ( 1919), kolom. 329.”Alexander Hume of Manderstone(earl of Dunbar) geb. 1651, t Aurich 4 Jan. 1720, zoon van George, kapitein in Nederlandschen dienst en Hester van Loo. Hij was in Oostfrieschen dienst, sedert 26 Juli 1676 drost van Gretsiel, 1692-1716 drost van Aurich, 5 Jan. 1693 benoemd tot geheimraad. Hem werden meerdere malen diplomatieke zendingen opgedragen, o.a. naar Engeland, tr. 1673 lsabella Comaelia Fewen, geb. 1662, t . . . . 1723, dr. van Leonhard Fewen, vertegenwoordiger te Emden (1662), burgemeester aldaar 1670-72, vorstelijk Kamerrat, overl. 3 Juli 1681 op zijne bezitting bij Twixlum. Hij huwde te Leiden 14 Juni 1633 Susanna Mamuchet, geb.te Utrecht, dochter van Marcus Mamuchet. (Vgl. XxX1.) (1)Uit dit huwelijk negen kinderen. Zie verder de uitvoerige beschrijving van dit echtpaar en hunne kinderendoor Kar1 Herquet in zijn: Miscellen zur Geschichte Ost-frieslands. Het derde kind: Susanna Hume of Manderstone, geb. 23 Oct. 1677, overl. 7 Maart 1726, tr. 2 Juli 1710 Julius Anton van Capelle. Vgl. Nederland’s Adelsboek 1913 blz. 23, alwaar hare moeder ten onrechte van Fiwen wordt genoemd.”Burgerlijke Administratie Leeuwarden, Friesland (LDS Family Group Record). Koninklijk Nederlandsch Genootschap voor Geslacht- en Wapenkunde, De Nederlandsche Leeuw . Lt. Colonel Robert Gayre of Gayre and Nigg, ERD, MA, Decendents of Alexander Hume of Manderstone. Karl Herquet, Miscellen der Geschichte Ostfrieslands.He died without leaving any children. Karl Herquet, Miscellen der Geschichte Ostfrieslands. Karl Herquet, Miscellen der Geschichte Ostfrieslands, 100.”Ein Krieg fuehrte Alexander auf dem Festland, woselbst er schon 1703 ohne Erben verstarb.”He died without leaving any children. M. Wegner, Die Familien der Kirchengemeinde Wirdum (1652-1900) (Aurich 2000), p. 352. Karl Herquet, Miscellen der Geschichte Ostfrieslands, 100. Family Search, LDS Church, IGI Individual Record , 178004/405/13493. L. Janssen, H.R. Manger, Die Familien der Kirchengemeinde Hesel (1643-1900) (Aurich 1974), p. 326. Nederland´s Adelsboek 81 (1990-1991), p. 49-55. Third Generation 11.Heeres Andries HUME (Leonard, Alexander) was born1 in 1738 in Norden. He died2 in Norden. 7. Earl of Dunbar, Baron Hume, of Berwick. Heeres married4 Antje VAN BERGEN 3 in 1765 in Norden. Antje was born5 in Norden. She died6 in Norden. Andries Heero van Bergen, heer van Oosterbroeck, Geslachtslijst van de Familien von Bergen, opgemaakt door A.H. van Bergen 1861 te Midwolda (Oldambt) provincie Groningen. Andries Heero van Bergen, heer van Oosterbroeck, Geslachtslijst van de Familien von Bergen, opgemaakt door A.H. van Bergen 1861 te Midwolda (Oldambt) provincie Groningen . Fourth Generation 15. Andries Heeres VAN BERGEN 1,2 (Heeres Andries HUME, Leonard, Alexander) was born3 on 30 Dec 1768 in Oldersum. He died4,5 on 7 Jul 1847 in Midwolda. Lit. regarding his descendents: Kwartierstatenboek: verzameling kwartierstaten bijeengebracht ter gelegenheid van de herdenking van het 110-jarig bestaan van het Koninklijk Nederlandsch Genootschap voor Geslacht- en Wapenkunde, 1883-1993.